This is a fun item. Just the right size for and stable enough for a Guinea Pig. 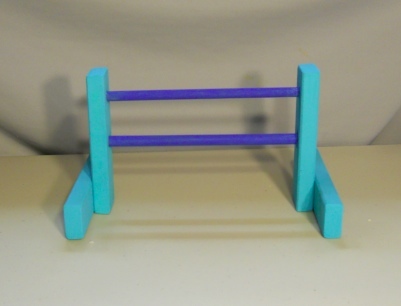 It is made with a wood and sets up by placing the bars into the wholes ready for it in the Jump Stand. This was hand cut, hand sanded, hand painted and hand put together in NW SD USA. It is ready to go.